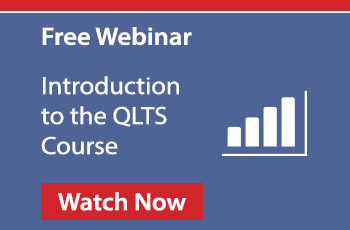 How Do You Register to Take the QLTS Assessments? The assessments are administered by a sole assessment provider, Kaplan QLTS, which has been appointed for this purpose by the Solicitors Regulation Authority (SRA). Following your registration and booking to sit the QLTS assessments, you will be sent an acknowledgement letter or email with an examinee number by the assessment provider. This letter or email will also include more information about testing centre locations and a detailed exam schedule. Candidates with special needs requiring specific examination arrangements should supply full details of their disability, together with supporting documentation, at the time of applying to take the exam, or as soon as reasonably possible thereafter. Some candidates may be eligible for exemptions to certain elements of each or all of the assessments. If so, the assessment provider will offer relevant special arrangements to such candidates, however assessment fees will still be payable in full. *You must first pass the MCT before enrolling for the OSCE. **Booking on the MCT involves a two-stage process: first, registration with Kaplan, and secondly booking with Pearson. Booking with Pearson can only take place once Kaplan has passed your detail to Pearson and this process can take up to 21 days. ***The registration for the July 2019 MCT is now open. The registration cut-off date with Kaplan is at 5pm UK Time on 30 April 2019. The booking cut-off date with Pearson VUE is at 5pm UK Time on 22 May 2019. Note that spaces are limited and subject to availability so candidates are advised to book early to guarantee a place. MCT assessment results are usually made available within 3-5 weeks after the assessment date, while OSCE results become available 10-12 weeks following the assessment. Once you have passed the MCT and the OSCE and fulfilled any other outstanding requirements set by the SRA (see the ‘Eligibility’ page), you may apply for admission to the Roll of Solicitors of England and Wales. You will need to complete an AD1: Application for admission as a solicitor form, and enclose several documents, such as a copy of your QLTS assessment results confirming your successful completion of the QLTS. The SRA will also carry out a Disclosure and Barring Service (DBS) standard disclosure at the point of admission, so the SRA could check if you have a criminal background. The SRA will also conduct a character and suitability check and require a Certificate of Good Standing from your home professional body or regulator which must have been issued no more than three months before the SRA receives your application for admission. Once the SRA has received a satisfactory result from these checks, it will be able to process your application for admission to the Roll of Solicitors. Membership is free and entitles you to vote in elections, use the facilities at Law Society Hall and take part in a range of Law Society activities. If you are employed in connection with the provision of legal services, you will also need a practising certificate. The certificate annual fee is currently £318. If you do not intend to practise in England and Wales following successful completion of the QLTS assessments, you can still maintain your name on the Roll of Solicitors, without a practising certificate or paying any annual fees. The process of becoming an English solicitor through the QLTS route involves a few steps that may take several months to complete. Each step is dealt with by a different body and has its own requirements which must be satisfied. 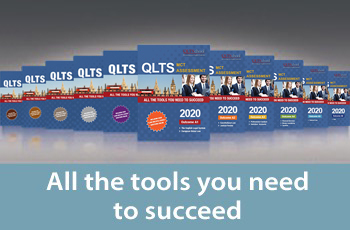 QLTS School offers you the most effective and creditable preparation courses for the QLTS assessments, combining comprehensive textbooks, digital flash cards, video tutorials, online resources, mock exams, tutor support and live workshops. 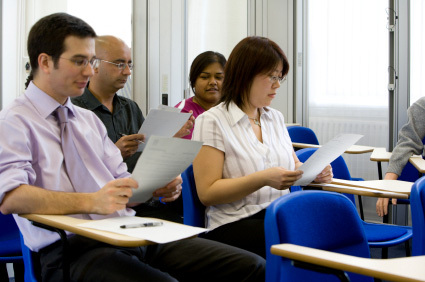 Our course programme will give you everything you need to complete the assessments successfully on your first attempt and become an English solicitor. There are no formal pre-conditions to meet before you can take the assessments, meaning you can start your preparation straight away and sign up to take the assessments at any time, enabling you to become a dual-qualified English solicitor in just a few months, on your terms. "QLTS School Helps You Build the Confidence You will Pass First Time"
"Comprehensive Guidance from Day One until Completion"
"I Chose QLTS School as They are Well Reputed within the Law Circles"
"Passing the QLTS Assessments may be the Mark of the Modern International Lawyer"
"The QLTS Helped me Become More Competitive in the International Legal Market"
"I Felt Very Well-Prepared Thanks to the Material Provided by QLTS School"
"The QLTS has given an international profile to my legal career"
"The Course Gives You an Excellent Sense of the Sort of Questions being Asked in the Assessments"
"I Recommend the QLTS to Anyone Who Works in International Legal Practices to Further Develop their Career"
"The QLTS School's Course Saves Your Time and Energy"
"Passing the QLTS Assessments has Given Me a Valuable Foothold witihn the English Law System"
"QLTS School was My Obvious Choice for Both the MCT and OSCE"
"Absolutely Necessary to have a Training Course before Taking the Assessments"
"The QLTS Enabled me to Improve my Marketability and Increase the Services I could Offer my Clients"
"Dual-Qualified Lawyers Get the Whole Picture in Cross-Border Transactions"
"Do Not Understate the Volume of the Work Involved and Allow Yourself Enough Time to Study"
"I am More Marketable and have More Opportunities to Expand My Career"
"The QLTS will Prepare You for International and Cross Border Practice"
"I Signed up with QLTS School as I did not Want to Take the Assessments More than Once"
"Imperative to have a Reliable Course Proivder"
"Studying with QLTS School Helped Me Pass the Exams Comfortably and with Minimum Stress"
"My Advice to Future Candidates is to Study and not Look for Shortcuts"
"Being So Well Prepared by QLTS School Helped me Passed the Exams on My First Attempt"
"The QLTS has Greatly Enhanced my Legal Career"
"QLTS School Met All My Expectations in Helping Me Pass the Assessments"
"The course materials are absolutely essential for god preparation"
"Great Materials, Narrowed Down what we Needed to Study and Focus on"
"The QLTS School Programme Fits all the Needs and Objectives to Become an English Solicitor"
"I would Recommend the QLTS to any Lawyer Working with English-Law Governed Agreements"
"I Wanted to Qualify as an English Solicitor to Better Represent the My Clients' Interests"
"The QLTS School Programme was the Perfect Vehicle for Me to Achieve my Objectives"
"The QLTS Gives You an Opportunity to Follow a Career Path of an International Lawyer"
"I felt that QLTS School Really Invests in its Students and Helping Us Pass the Exams"
"English Law is Very Different from Civil Law - I Realised I Needed a Professional Support"
"QLTS Assessments Prepare You to Become a More Well Rounded, Versatile Lawyer"
"QLTS School understands How to Meet Candidates' Needs and Circumstances"
"QLTS Assessments Prepare You for a Promising Future as a UK and International Lawyer"
"I have Gained Recognition and Praise at my Workplace thanks to the QLTS"